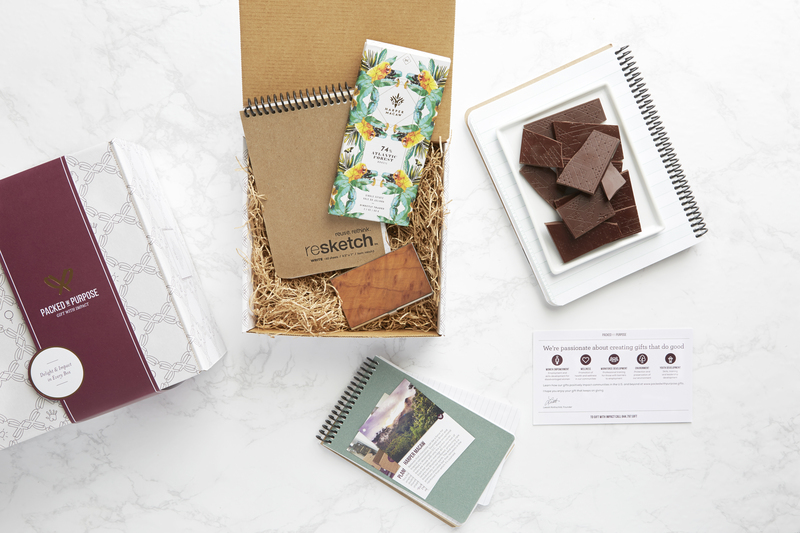 Packed with Purpose finds gifts with a big impact, on the recipient and the gift maker. The saying, “It is better to give than receive,” can be taken quite literally during the holiday season if the gift is a giant tin of stale popcorn or some kind of one-size-fits-all corporate swag. But these days it is easier to live up to the sentiment behind the saying by sending a gift that really does give back, while also showing your gift recipients that a lot of care and thought went into choosing the gift. Several of the gifts featured in MeetingsNet’s Gift Guide 2018 are both memorable for the recipient and beneficial to a charitable organization. But if you are determined to send popcorn or a food basket, here is one option that ensures that the gift gives back. Packed with Purpose offers a wide range of products, from notebooks to lotions and food, and they are all tested for quality. The products also have to meet high standards of social impact and their suppliers have to provide reports proving they accomplish what they say they do. Rothschild says the “Purposeful Purveyors,” as they are called, “often produce impact through the employees they hire to make the products—for example, hiring folks with a criminal record to craft their confections. In those cases, the entire business model is based on the social impact of providing job training and employment." Rosemary & salt caramels, buttery toffee, cinnamon pecan granola and more. These products provide employment to adults with disabilities, workforce development to women who need a second chance (often survivors of abuse and ex-offenders). The firm also supports sustainable environmental farming practices. Two etched wine glasses, made by adults with disabilities as part of a creative arts program; premium dark chocolate that preserves the Brazilian rainforest, from which the cacao is sourced; and a one-of-a-kind glass-blown wine stopper made by youth impacted by gun violence as part of a trauma recovery program.